Portable welding station where you mount the robot on the workpiece. 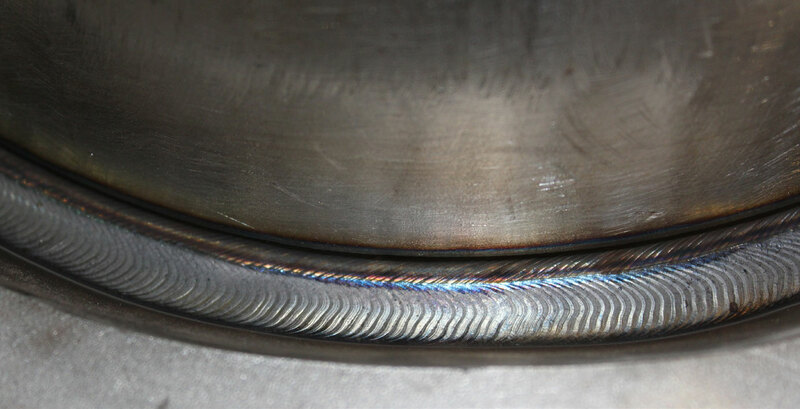 Using our own welding experience, we adaptively calculate how many weld seams and layers are needed to perfectly fill up the bevel, no matter the angle or bevel type. 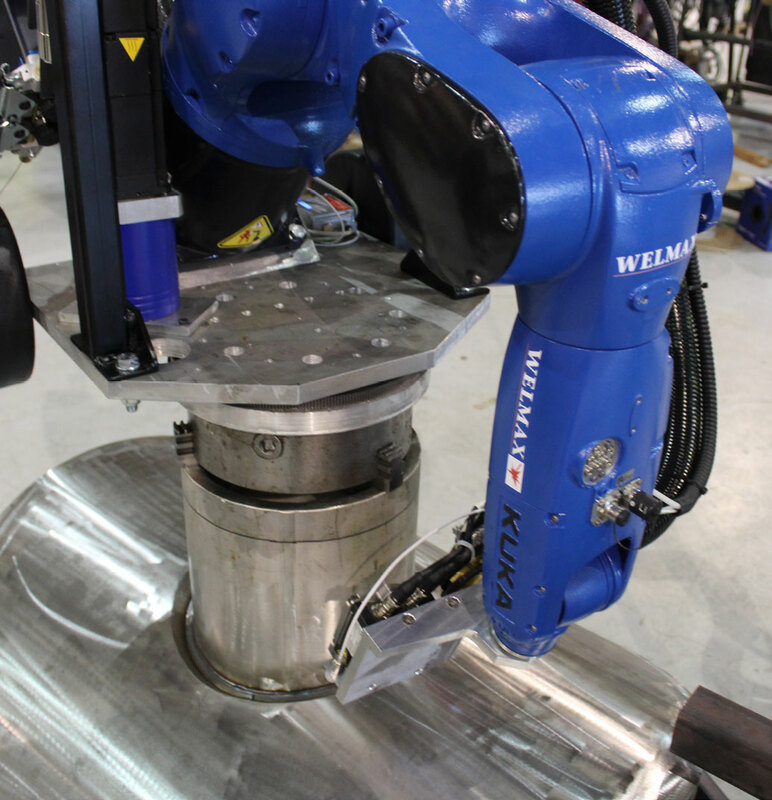 By using Welmax’s unique weld-AI the ProControl will continually be adjusting and updating the original theoretical calculation by interpreting real welding data and scan results. 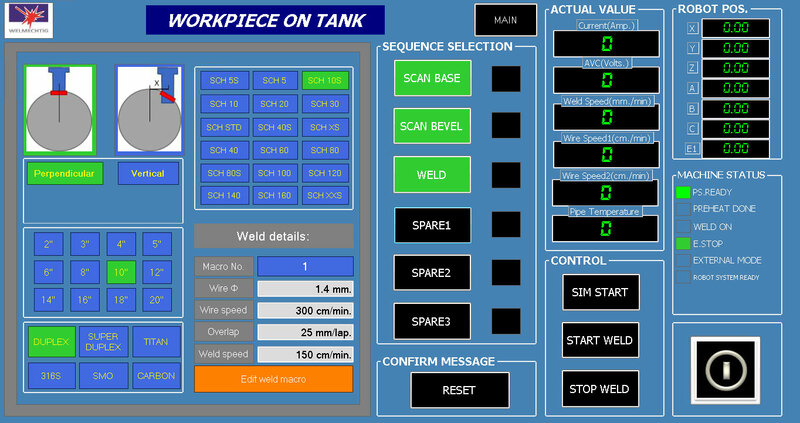 This means that for each finished weld, the control system is getting wiser, faster and able to make more intelligent calculations for weld seams and layers. Portable for the purpose of welding on different sizes of pipe nozzles. 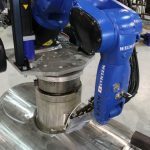 The chuck in the root of the robot is clamped at the center of the robots workpiece, we don’t need a typical fixed robot cell, that is because it will always know that its positioned in the center of the workpiece. 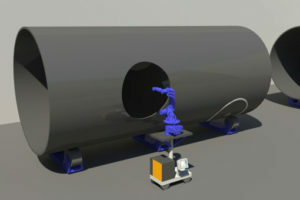 The robot can weld pipe nozzles both on the cap of the pipe/tank or on the main cylindrical body of the pipe/tank. 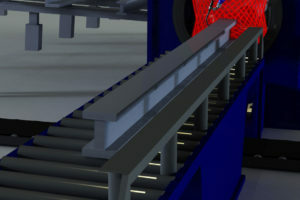 This is made possible by using intelligent algorithms based on a few readily known parameters. 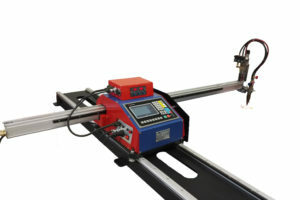 The operator will simply select the placement type and dimension of the workpiece on the ProControl screen. 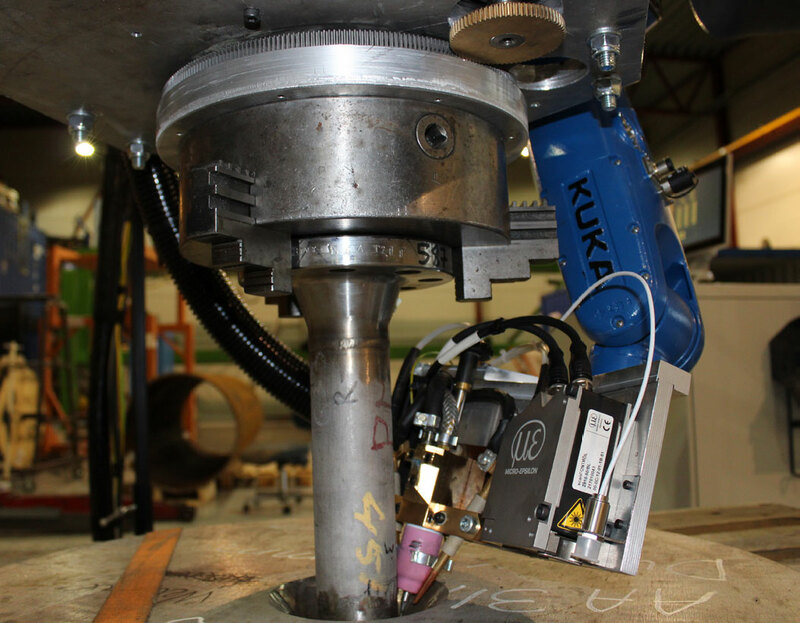 A laser system is mounted on the welding tool, providing feedback to the ProControl, ensuring precise positioning of the welding electrode. Meanwhile the controller is continuously calculating and controlling that the volume for each layer is filling up as estimated. 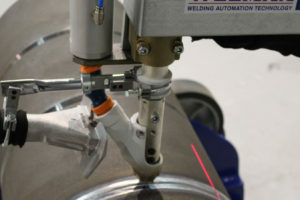 If the volume measured in the weld seam doesn’t match the estimated value, the ProControl can make several adaptive choices to ensure a stable and smooth weld seam fill-up.